Packing up an entire house is a time consuming job. It can be tempting to throw everything into whatever box you can find and figure it all out at the other end. However, if you take the time to pack your items in an organised way you’ll make life much easier when you go to unpack at the other end. To begin with, you need to choose the right box type for the job. Incorrectly packing and storing items can lead to more than just frustration – it can also lead to breakages and damage. Hire A Box have a range of box types to suit your needs. Choosing the right type of box makes the task of packing so much easier and quicker for you. Porta-robes or Portable Wardrobes makes carrying your clothes safe and easy (not to mention reducing your packing time). These boxes protect your best dresses, suits and shirts by allowing them to stay hanging up during transport in purpose built wardrobe storage boxes. A Picture Frame Box helps protect your precious artwork and photographs during your move. Make sure you use wrapping paper and bubble wrap as an extra layer of protection. A Book Carton Box is perfect for heavy items such as books, crockery, and glassware. The smaller sized box means it’s easier to carry around and are less likely to break. A Large Box is ideal for packing larger, lighter items such as pots and pans, clothes, cushions and shoes. If you fill them up with bulky items that can be difficult to carry and you can risk them breaking during transit. 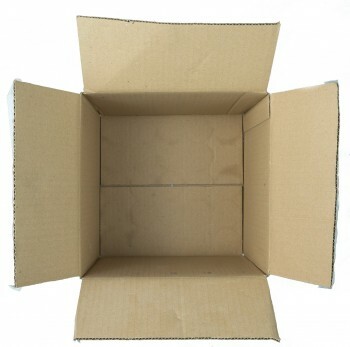 You also need to consider box quality when you’re packing up your items. Good quality boxes will help to protect your items during moving and storage. All of our packing boxes are made in Australia from superior grade virgin cardboard. This means they don’t fall apart when you fill them up and they will last when stacked in the truck and for storage purposes. Afterall, you don’t usually pack everything in your house up and then unpack it again somewhere else on the same day. If you’re moving interstate or overseas, or if your items need to be in storage for a time, you want the boxes to last and your items to stay safe inside. Also, consider your future unpacking self when you pack your items away. Even if you’re using custom boxes, don’t just rely on your memory of what’s inside each box. That box which was obviously filled with kitchen utensils will become just another box amid a sea of cardboard boxes that all look the same when it comes time to unpack again. Take the time to correctly label boxes (even if it seems obvious to you what’s inside at the time of packing) so you’ll know just where everything is at the other end. Also if you are putting items that can spill for example cleaning products ensure they are in a zip locked bag prior to going in the boxes. If you’re relying on the good nature of your friends and family to help you pack up your belongings you need to have a system in place that everyone follows. To make life easier for everyone you’ll need more than just the right box for the job. Make sure you have wrapping paper, bubble wrap and permanent markers handy too (you can stock up on those items here). Assign your helpers an area of the house and ensure they label their boxes with the room they are working in, as well as writing what’s in the box too. For example: Kitchen – pots and pans. And make sure everyone follows the same labelling rules. If you really want to protect your valuables and get the packing job done quickly, consider hiring professional packers to do the job for you. Also when you are finally ready to move, get a quote for our professional removal service. Are you about to start packing for a big move? Hire A Box has everything you need – tape, bubble wrap, packing tape and, of course, boxes. We drop our boxes to you, let you keep them for up to 3 months and then collect them once you have finished with them. You can also choose to buy new or used boxes if hiring doesn’t suit you. For more information on how we can help you with your move, call us on 1300 858 446 or contact us via the website today.